I think the 2010 Olympics luge has a design flaw. 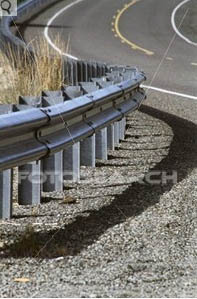 See this roadway guardrail? What if they put in the posts and left off the rail? Cars would be seriously damaged and people seriously injured or killed instead of being safely deflected. Likewise, the luge should have had a wall over those posts. Instead, there’s a wall in the curve but it drops away coming out of the curve, a feature which seems only to account for the convenience of photographers and/or spectators. [Update–Good news: they decided to extend the wall–see the New York Times report Changes Made to Luge Competition. I’m very glad about this, because the thought of further runs on the defective track was frightening! 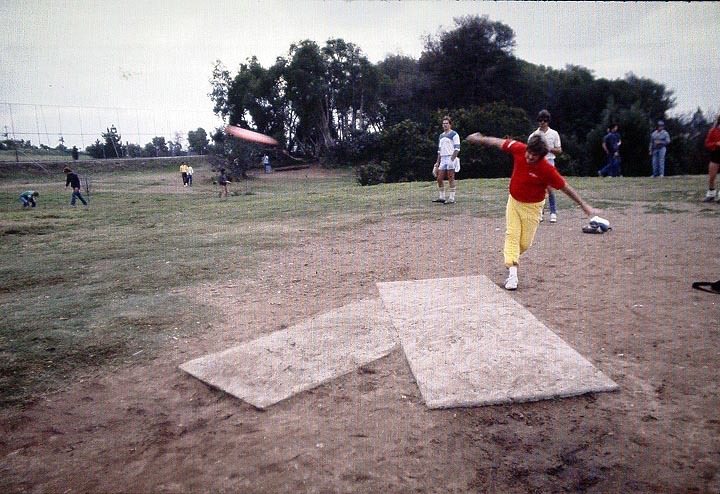 Take a moment and let me share a few memories from my early frisbee disc golfing days at the Morley Field Disc Golf Course in San Diego’s Balboa Park. 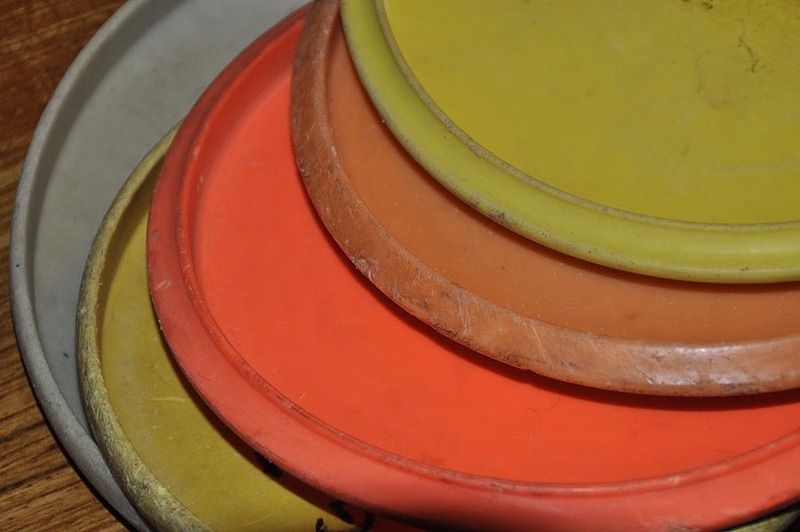 When I started playing in 1978 disc golf as a sport had only recently emerged and the first competitions I attended had an exciting underground atmosphere. 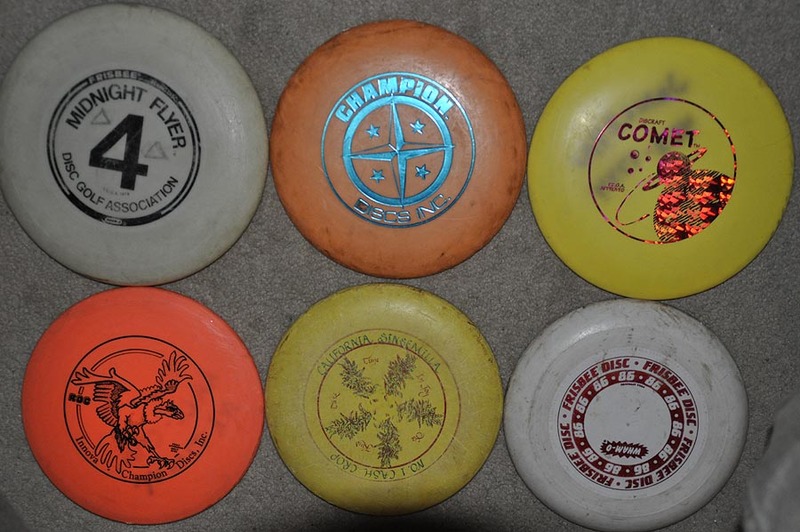 Specialized discs were being introduced in different sizes, plastics, forms, and weights that we’d experiment with for drives, roller shots, overhead throws, “up-shots” (approach shots), sidearms, sliders, and putts, and for dealing with different wind, temperature, and humidity conditions. At the time, obtaining some of these discs was almost like trying to buy black market contraband through a secret network, whispers and furtive exchanges of bills and all. 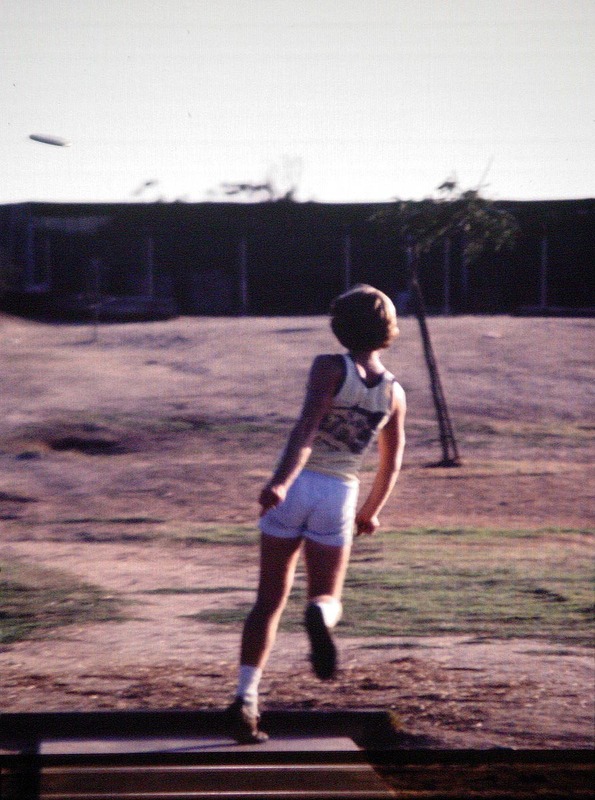 Some guys never got that involved though, and would play their rounds with a single disc and a backpack full of beer. Other guys would toke during their rounds. I never understood how they managed to play as well as they did. 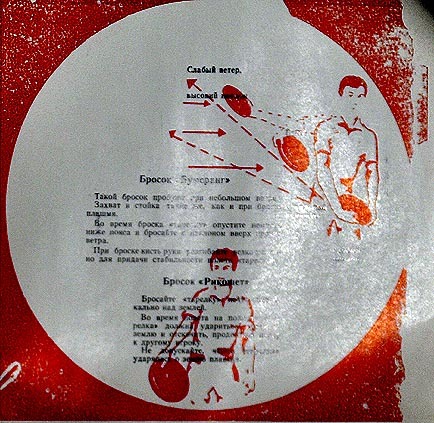 Women players were rarely seen. Many of us would head over to the park every day after school or work, see who else showed up, and gather into small groups for a round of golf. One regular with exceptional talent, Snapper Pierson, would join us sometimes and give us tips as we tried to emulate his amazing throws. Over the years he organized tournaments and lobbied the city to allow him to generate funding to develop and maintain the course by setting up a small concession/pro shop and charging a nominal course fee. He’s still in charge over at Morley Field (he appears in the video below). 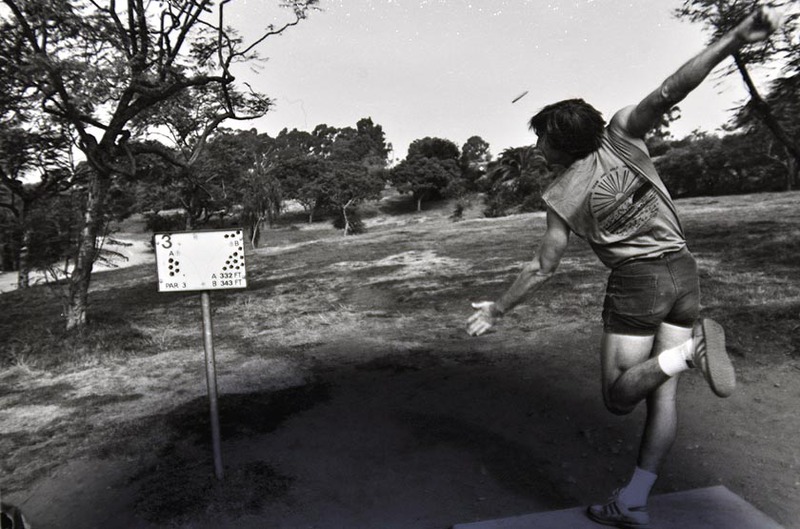 Sometimes we’d drive up to UCSD and play on campus on a “course” among the Eucalyptus trees and buildings, the course designed by enthusiasts and learned by playing with one of them, although instead of shooting for baskets we’d shoot for objects. We also played at a park in Chula Vista and one in Mission Hills. I’m not sure if there are baskets there anymore, however. 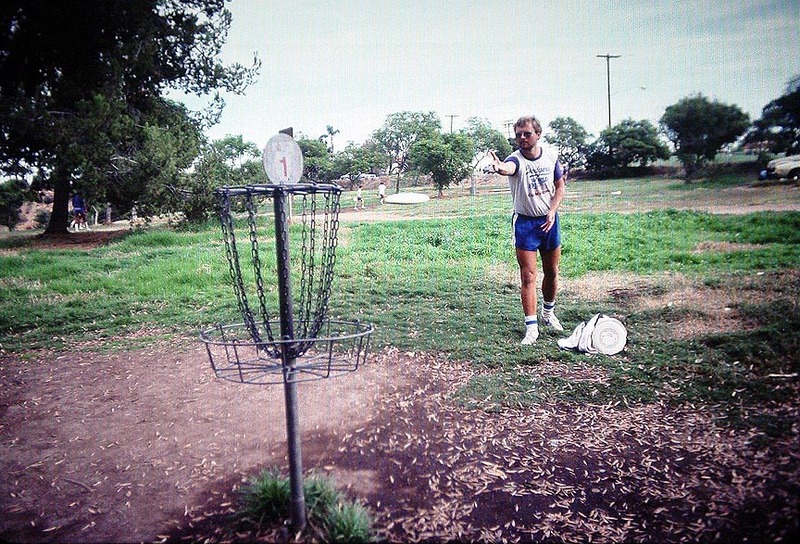 Other times we’d just randomly find a park or open space and invent a few holes to play. That’s when I started learning photography too, and practicing on the golfers I produced lots of discardables but I did capture a few worth keeping. I had a Nikon FM2 35mm film camera (no motor drive). The first shot below was a little scary being in the line of fire, even though he assured me I’d be okay. These digital photos, including the black & white, are of the old film prints. The sport has become a big draw for recreational players as well as for serious competitors looking to earn some good cash. If you haven’t already, check it out!